Fashioned in wood with black tin leaves Features a tasteful parchment shade. 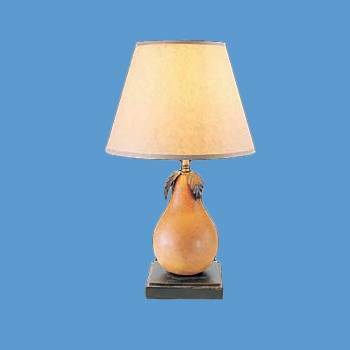 Renovator's Supply's Pear Table Lamp is constructed of wood with tin leavesa whimsical lamp to be sure. Measures 16 7/8 in. H.and 10 in.wide Parchment shade included. requires 60 watt regular bulb.